POLICE have laid their own rubber in a lightning-fast series of dawn raids on suspected members of the so-called Mexican Hoon Cartel, seizing computers, tyres and knives. Officers had already seized four cars from "cartel'' members over the past month and as the sun rose this morning, hit two homes at Gilston as they swooped on two 18-year-old men who officers are alleging are ringleaders of a band of hoons that has terrorised suburban streets and allegedly been involved in criminal activity. Police said they seized 60 tyres, which they are alleging were stolen from the Nerang Bob Jane T Mart. "The group was using them to fit on and burn them out in their motor vehicles,'' said Rapid Action Patrol officer in charge, Sen-Sgt Mat Kelly. The Bulletin reported on the reckless driving antics of the cartel last week, after members had been seeking notoriety by posting dangerous road stunts on social media. Members have called each other "sicario'', which translates from Spanish to "hitman'', and posted videos including one in which a car drifts across three lanes at more than 100km/h, seemingly out of control as it veers alarmingly close to other vehicles. Senior Sergeant Kelly said yesterday's raids should put the rest of the Mexican Hoon Cartel on notice. "We've arrested two members of the alleged car group known as the Mexican Hoon Cartel, as we continue to target their illegal activities," Sen-Sgt Kelly said. 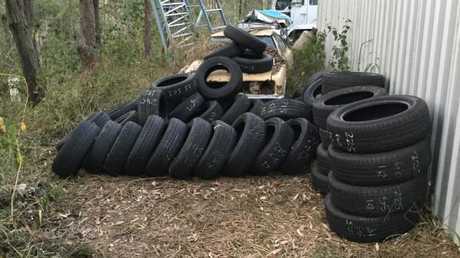 Some of the tyres seized during raids on the homes of Mexican Hoon Cartel members. He said the group would remain a target as police disrupted, dismantled and deterred traffic offences or criminal activity, which he described as cowardly and juvenile. "At one of the homes we located in excess of 60 tyres, believed to have been stolen from Bob Jane T Mart at Nerang on April 23 last year,'' he said. An 18-year-old man from Gilston was charged with entering premises or alternatively receiving stolen property, as well as with stealing a street sign or alternatively receiving a street sign. 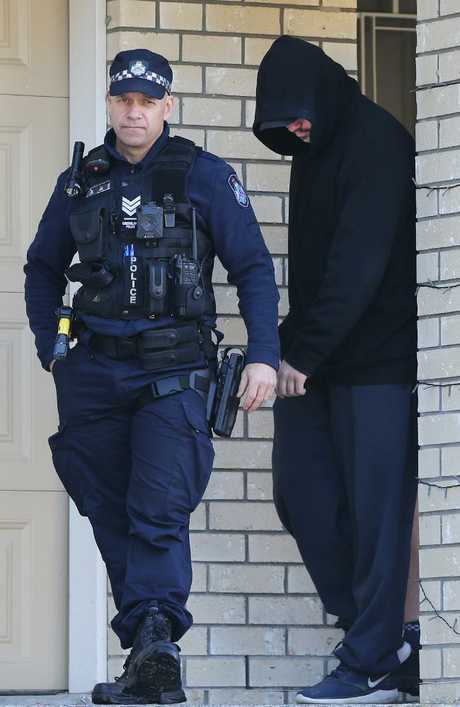 Another man was arrested at a separate Gilston home and charged with possession of knives. "At the second address we located 14 category M knives. These have been seized by police and an 18-year-old man from Gilston has been given a notice to appear in court in 14 days," Sen-Sgt Kelly said. 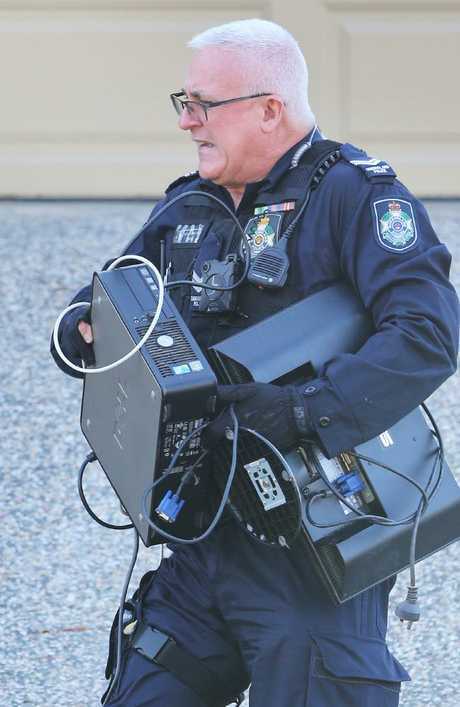 Police were scouring through documents on seized computers, tablets and phones looking for evidence of dangerous operation of vehicles. It was possible cars would be seized. "It serves as a warning to other people that would like to involve themselves in this type of activity, they will be targeted by police," Sen-Sgt Kelly said. Further charges and action were likely against other members. Videos have shown some drivers are still on their red P plates. In posts on social media, hoons have threatened neighbourhoods where residents have complained to police about their skidding and dangerous driving. 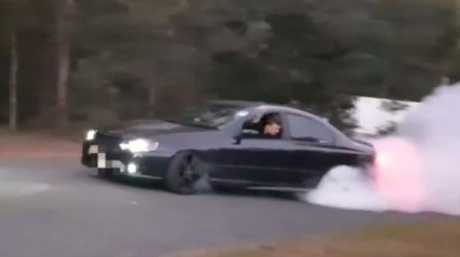 A group of Gold Coast hoons calling themselves the "Mexican Hoon Cartel" have been terrorising suburban streets around the city. Sen-Sgt Kelly said residents were fed up with dangerous driving in their streets. 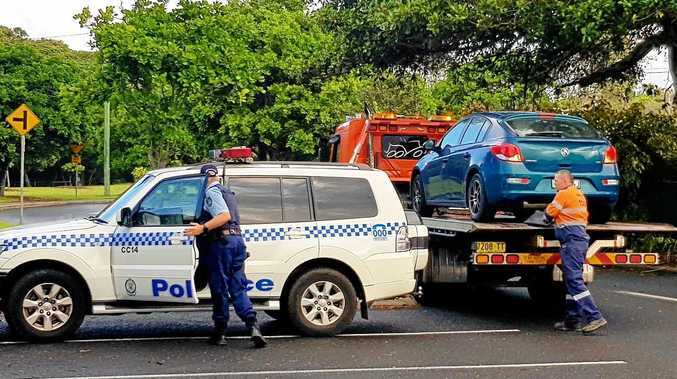 "The community, in particular the Nerang and Gilston area, has had a gutful of having to tolerate this type of unruly behaviour by young people that think they can use public roads as their private racing strip,'' he said. "Action taken by police was in relation to information provided by the community around dangerous driving and criminal actions. "Inquiries are continuing by police as a consequence of evidence located today and further information received by the community around hoon-related criminal activity.